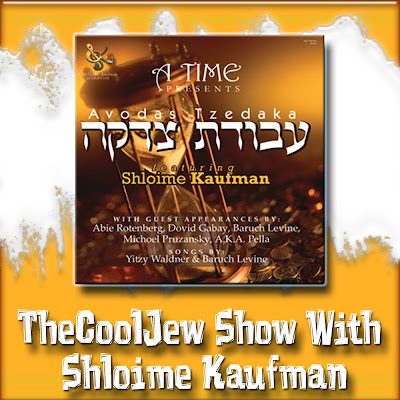 Shloime Kaufman joins TheCoolJew Show to talk about his album Avodos Tzedakah which hit stores before the summer. The CD features Dovid Gabay, Baruch Levine, Abie Rotenberg, Michoel Pruzansky, A.K.A. Pella, Sholom Jacobs and contains songs composed by Yitzy Waldner and Baruch Levine. The CD is presented by and proceeds will go to A T.I.M.E.